Home Loans For All is committed to providing the best possible information and support to our customers. 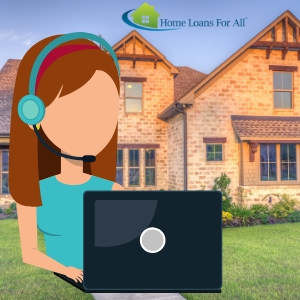 If you have any questions about the lending process, our website, or any article you’ve read on the Home Loans Blog, please don’t hesitate to contact us. Our customer support staff is available Monday through Friday, 9 AM CST to 5 PM CST. Got a question about where we’re getting a piece of information we wrote about on the site? Check out our editorial guidelines for the Home Loans blog. Looking for help with a home loan? Pre-qualify here and one of our partnered lenders will get in touch.